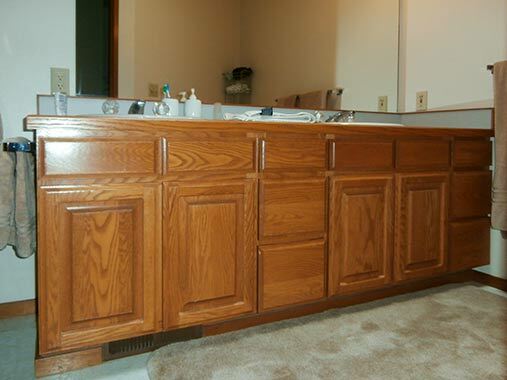 With the youngest child soon to be out of college, it was time to transform the kid bath to a 'guest' bath. 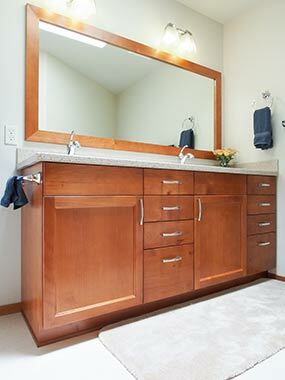 The double vanity was replaced with updated alder cabinet providing ample countertop and storage space. 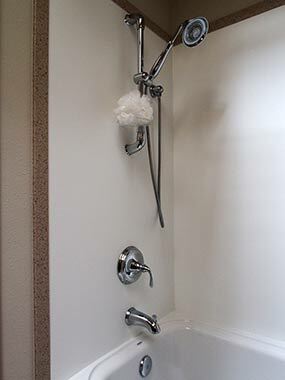 Mounting a hand-held shower head on a slide bar makes showering for people of various heights a breeze. 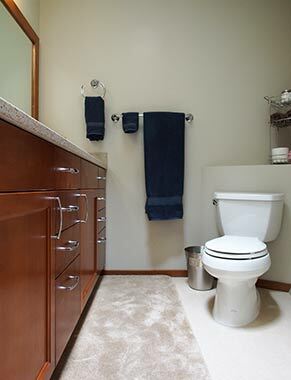 The countertop is low maintenance solid surface LG Hi-macs. 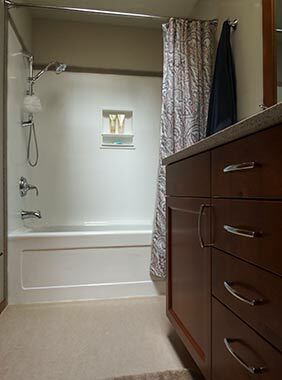 The value priced acrylic tub is surrounded by LG Hi-macs panels in white with a corresponding trim in Saturn that matches the countertop. 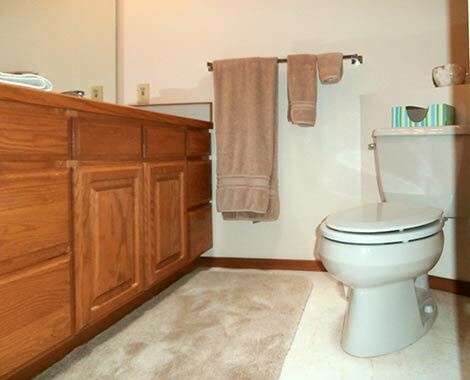 Flooring is Marmoleum. 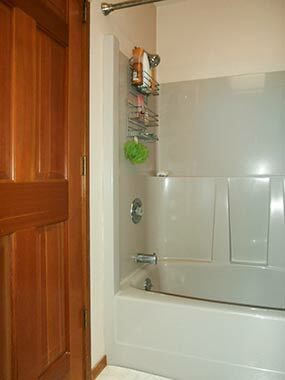 Faucets, sinks, shower fixtures, toilet and decorative hardware by Kohler.